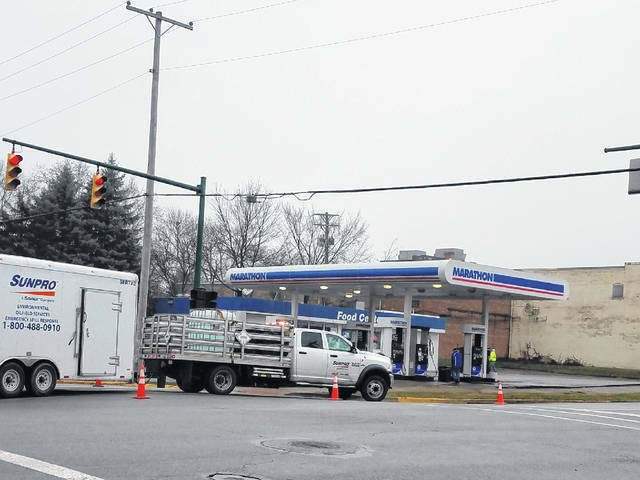 A coupling that broke loose while a truck was fueling at the Marathon gas station on South Main Street about 7 a.m. Friday resulted in about 150 gallons of diesel fuel spilled, with a small amount entering a storm sewer and a creek, according to Urbana Fire Chief Dean Ortlieb, who said the area was diked to prevent further contamination and local and state emergency agencies contacted. Those agencies included the county Emergency Management Agency, the Ohio Environmental Protection Agency and the Public Utilities Commission of Ohio. The chief said the Fire Division instructed Marathon to hire a contractor to clean up the contamination. He added that Marathon is responsible for the cleanup and that the Fire Division will be reimbursed.